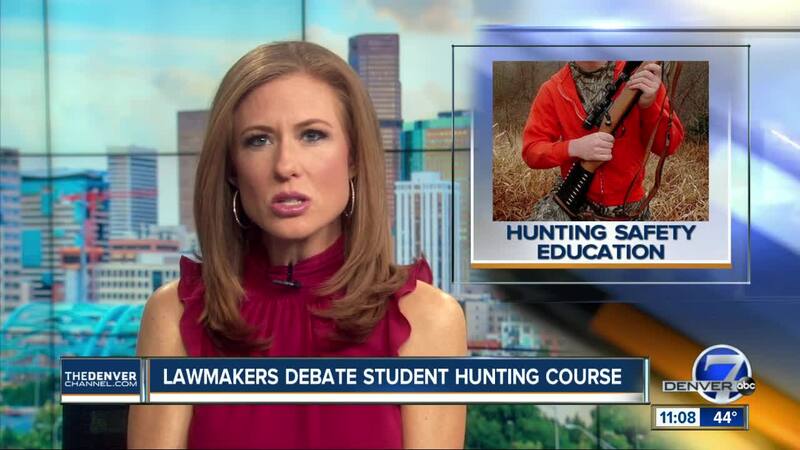 DENVER — A bill that was heard in a state House committee on Tuesday at the state Capitol would have required most seventh-grade students in Colorado to complete a hunter education course, though the measure was amended in the committee to be optional instead of mandatory and was then voted down, effectively killing the measure. “The course must satisfy the requirements of a hunter education course certified by the division of parks and wildlife,” the original bill summary read. The exception was that hands-on activities aren’t required. This would mean that all students in the state would be required to attend the course as part of a school’s curriculum. Parental permission would be required for students to take part in any hands-on activities, however, and those would not be mandatory for all students. Local education providers, such as public and charter schools, would also have to enter into an agreement with the certified instructors and would have to receive enough gift, grant or private money to pay the cost of the full course. The goal of the bill, HB19-1116 , would be to improve safe use of guns by hunters, while also promoting safe firearm handling by the general public, proponents say. The bill is sponsored by Rep. Hugh McKean, R-Loveland. Opponents say it promotes the use of guns by some who might not use them otherwise and is not a good use of education time or taxpayer dollars. But at Tuesday afternoon's committee hearing, the language that would have made the course mandatory for many students was changed to only make the course optional. Hunting is a $70-million-dollar industry, according to statistics from Colorado Parks and Wildlife, with more than 1 million hunters and anglers registered in 2016-2017 in Colorado. More than a half-million hunting tags were sold that year, also according to CPW. State law already requires anyone born after January 1949 to complete a hunter education course before they can buy a state hunting license and courses are offered year-round. Online versions cost approximately $25 per person. An opponent of the measure told Denver7 ahead of the committee meeting there was a possibility of amendments to the bill that would remove the mandatory pieces of the bill -- a supposition that came true at the meeting. In the end and after amendments, the bill was voted down 6-7 in the House Education Committee.